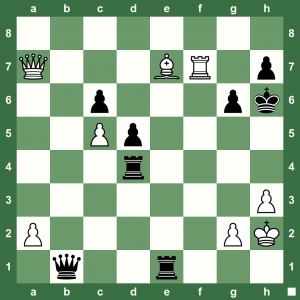 Fischer Chess Puzzle: What’s White’s Magic Move? 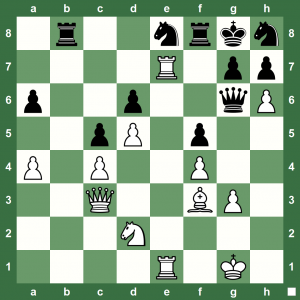 Nothing better than a Bobby Fischer chess puzzle to cheer up your weekend: What winning move did Bobby Fischer play as White in this game versus Antillo Di Camillo, Washington, 1956? 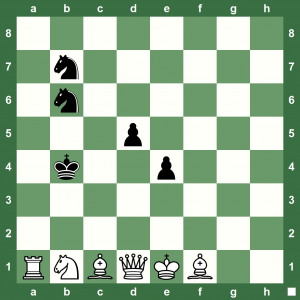 One smart move at the right time can win you a cool chess game. Here’s a position from the game Naiditsch vs A J Steigman, Cannes, 1997. Can you see what was White’s winning move? 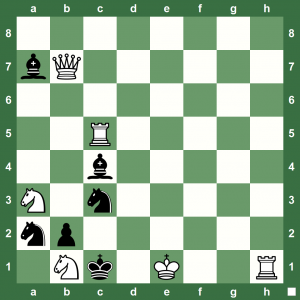 One of the easiest and best ways to improve your chess is to solve small tactical puzzles like checkmates in two. Here’s a simple motif – White to play and checkmate in two. 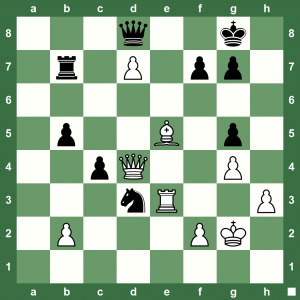 Middlegame Chess Ideas: What’s White’s Winning Plan? 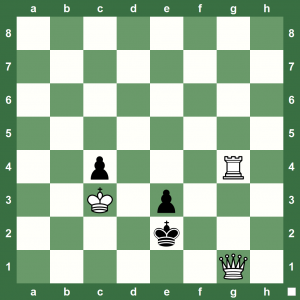 Here is a position offering a nice win for White? Can you find the winning plan/. 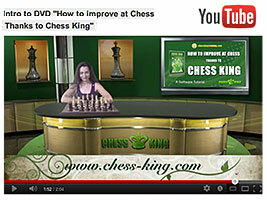 Chess King Video software Tutorial by Steve Lopez. You will learn how to publish a game to your blog thanks to the export to blog function. The two-step process involves copying CSS code to your blog’s template (you only need to do that once for your whole blog), and then copying the generated game applet code to your post. Chess King with Houdini 2 is an affordable and powerful chess software. With Chess King you can play chess, solve puzzles, analyze your games with the strongest engine available and have access to more than the 5 million game GigaKing database. Check out the Chess King store www.chesskingtraining.com. 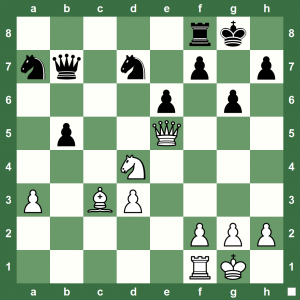 Here is a neat chess puzzle from the game Sveshnikov – Scherbakov… Do you know how can White win? Try to calculate carefully! 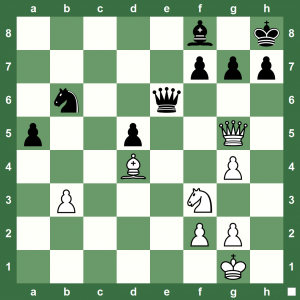 Alert Chess Puzzle: How Does White Win? 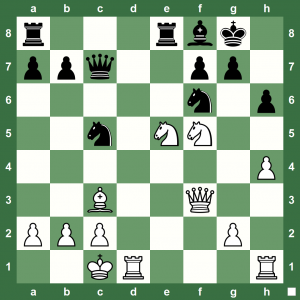 White has managed to build a Kingside attack, but what next? Can you help White win? 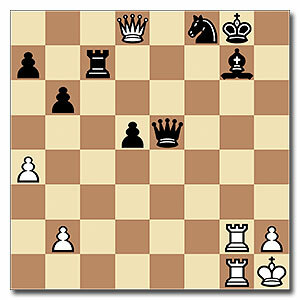 An amazing 1937 study by Korolkov, with an incredible final mating position. Watch and listen to Alexandra run you through the solution. 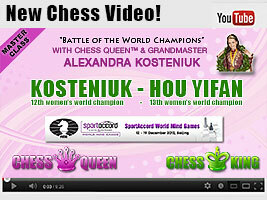 Watch the video and you will easily understand the solution what with the 12th Women’s World Chess Champion and Chess Queen Alexandra Kosteniuk taking your chess master class! A difficult study, but easy if you catch the magic patterns! 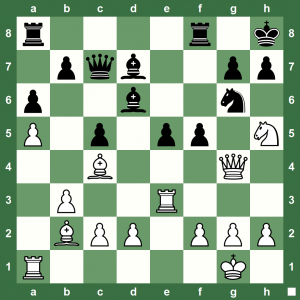 Do you study old chess games as played by the world’s chess masters? It’s a great way to improve at chess. 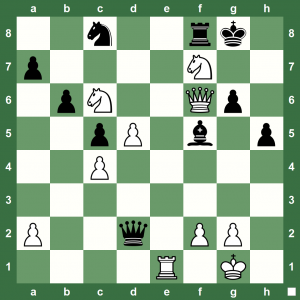 Here is a puzzle showcasing the tactical finesse of Capablanca. How did White win? 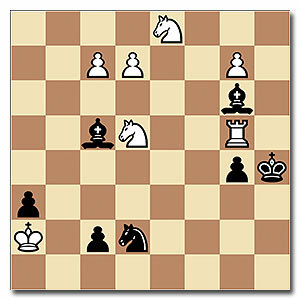 The game is Capablanca – Lasker, World Chess Championship, Havana, 1921. White is in big trouble here if he does not strike here first. White goes for the checkmate without any delay. Can you see how? This position is from the game Bunjoch – Matocha, Czechoslovakia, 1968. 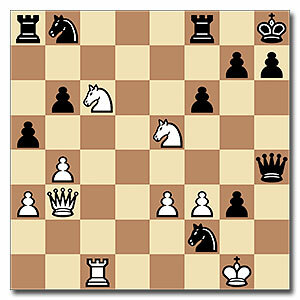 For once, White is not bothered about development as White can play and checkmate in two in this chess study created by B Harley for the Observer, 1926. Can you help White? White has managed to put the Black King in the corner and the Queen is way too far away to help. 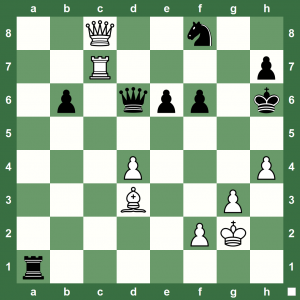 How did White finish the attack and win? Chess King 2 With Houdini 2. Also Check the COMPARISON PAGE to see which Chess King suits you best.